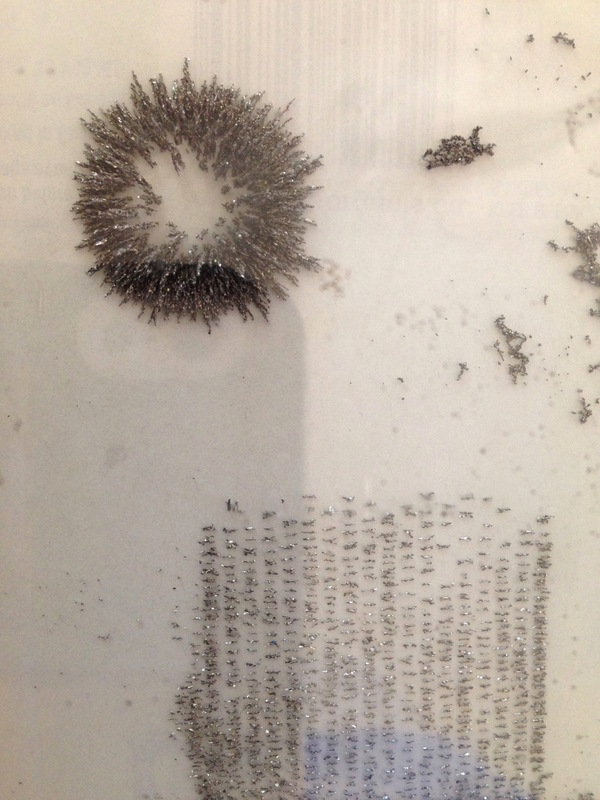 Students use iron filings to visualize the direction of the magnetic field lines and the shape of magnetic fields around various magnets. Can be used as a free experimentation activity. Can also be used to introduce magnetic field lines of the Sun. Before the class, prepare the iron filing container: sprinkle 1/4 teaspoon of iron filings into a larger salad container or 1/8 teaspoon into a small herb container. Apply a line of hot glue around the container edge and quickly seal shut. After a minute of cooling time, shake the iron filings around the sides of the container to locate any leaks, then seal these with more hot glue. 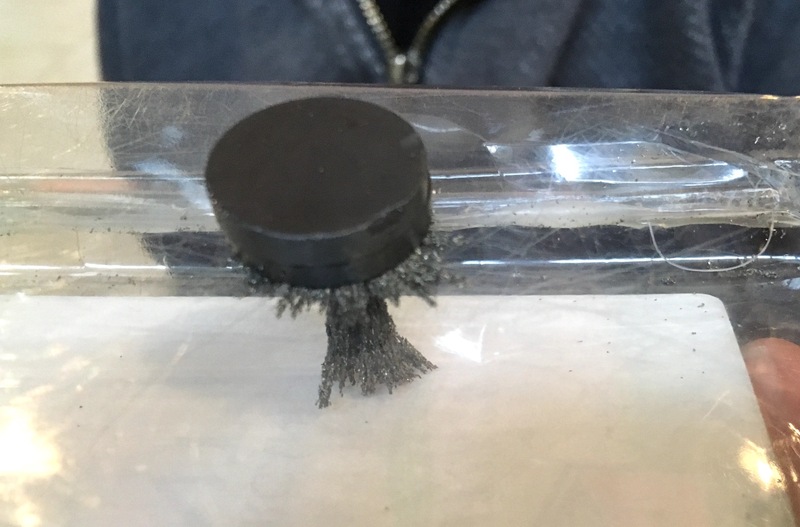 Each student experiments with moving magnets under the iron filings to see the patterns they make. 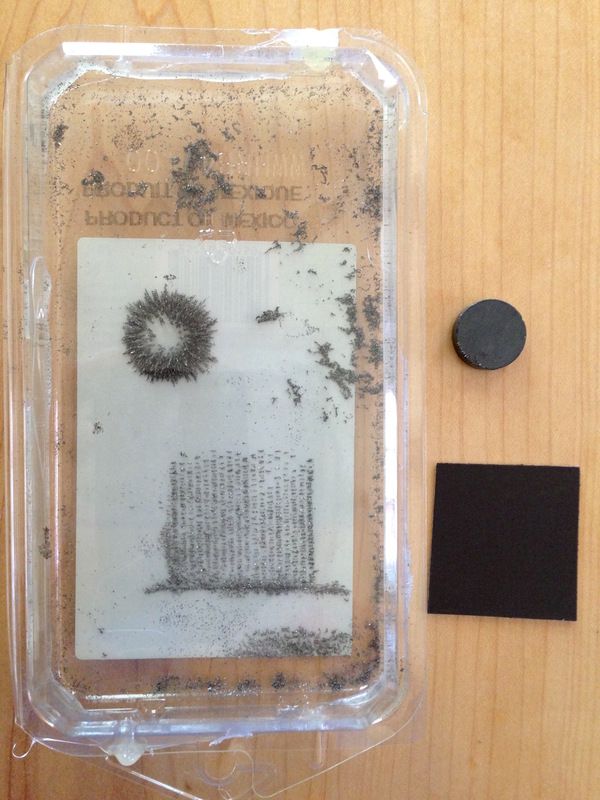 The shape of the magnetic field can be drawn with lines, that follow the lines that the iron filings make. The patterns show how the force of the magnet spreads out around it. 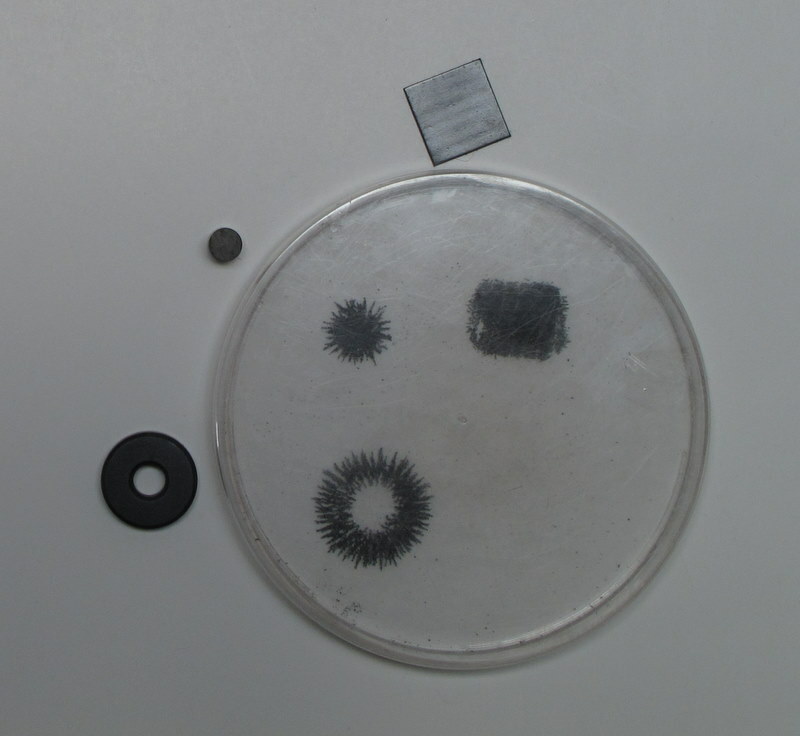 Different magnets have different force field shapes. For a lesson on the sun, this activity can be used to introduce how magnets have magnetic field lines around them. Magnetic fields in the sun are made by the moving charged particles of the plasma particles which make up the sun. (Plasma is a fourth state of matter, more energetic than a gas, which exists in the very hot, high pressures of the sun). The sun's plasma forms moving magnetic fields within the sun, which also loop outwards from it. The immense magnetic fields of the sun pull loops of gas from the sun and out along the field lines. 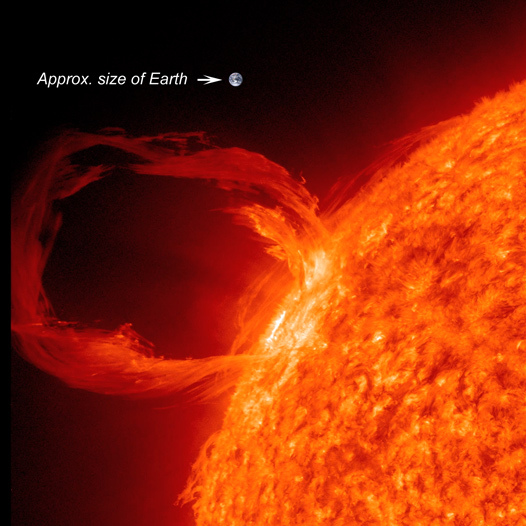 The Sun’s magnetic field lines sometimes twist so much that they “snap”, sprawling prominences (hot loops of plasma) into space. The plasma that does escape streams away from the sun as solar winds, filling the heliosphere which extends beyond the solar system. Sunspots (darker regions on the surface of the Sun) are caused by strong magnetic fields blocking heat from the centre of the sun. Larger sunspots are larger than earth.